Scientists in Cambridge have completed the world’s largest gene sequencing project in healthcare – which brings hope of better understanding of diseases and faster diagnosis. People with rare diseases, their family members and cancer patients took part. Genomics England described the project as “transformational in what it means to society and humanity”. One in four participants with rare diseases received a diagnosis for the first time. Until now, parents of children with rare genetic conditions typically spent years trying to find out the cause. The 100,000 Genomes Project has ended this “diagnostic odyssey” for many families, and in some cases, led to effective treatments. Hana Young’s daughter Tilly, aged six, who has a disorder which causes delayed development and seizures, had her genome sequenced, along with both her parents. In January 2018 she was diagnosed with GAMT deficiency, a treatable metabolic disorder, which is caused by an inherited genetic error. 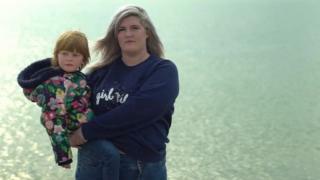 Hana, from Gosport in Hampshire, told the BBC: “She used to be in and out of hospital and was often very aggressive towards her younger brother Arlo and others. Since Tilly has been on treatment, Hana says the “difference is amazing”. “She is communicating, full of life, her epilepsy is gone and she is no longer violent,” her mum says. Had Tilly’s illness been identified earlier, some long-term damage could have been prevented. 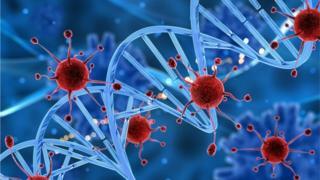 In all, about 85,000 people had their entire genetic code, or genome, sequenced, but because cancer patients also had their tumour DNA mapped, the number of genomes totalled 100,000. The human genome is made up of billions of pieces of DNA, found in nearly every cell in the body. It is the instruction manual for life and errors can trigger a vast range of disorders. Cancer and rare diseases were chosen for the project because both are strongly linked to changes in DNA. Cancer is triggered by mutations in genes, while the majority of rare diseases are also caused by errors in our genome. Karen Carter, 46, is among 15,000 cancer patients who had the DNA of their cancer tumour sequenced, as well as the genome they inherited from their parents. She has had breast cancer and melanoma, but scans suggest she is clear of the disease. About half of cancer patients sequenced as part of the project were then able to take part in a clinical trial or receive a targeted treatment. All the genome sequencing has been carried out at the Wellcome Sanger Institute, near Cambridge, in laboratories run by Illumina, a Californian biotechnology company. The work has been overseen by Genomics England, which was set up in 2013 specifically to deliver the 100,000 Genomes Project. There are now ambitious plans to sequence one million genomes in the UK in the next five years, as genetic testing becomes more embedded in NHS care. The hope is that it will lead to more rapid diagnosis, improved prevention of illness and more targeted medicines. When the first human genome was fully sequenced in 2003, it had taken 13 years and cost £2bn. 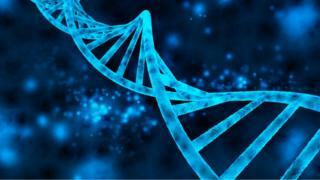 Today, a genome’s worth of DNA can be sequenced in only 30 minutes, at a cost of £600. The success of the 100,000 Genomes Project underlines the UK’s position as a world leader in this field. Prof Dame Sue Hill, Chief Scientific Officer for England said: “The results show how genomic medicine can transform lives, and the opportunity now is to turn this research into reality by introducing sequencing technology as part of our world-leading NHS Genomic Medicine Service.”Follow Fergus on Twitter.